We are a Portland range repair company that you can trust. We have been providing the Portland OR area with stove repair solutions for many years. There is almost no of range or stove that we have not worked on already. No matter your range repair needs, we will be able to help you. We offer range repair in Portland OR for models with just about any problem imaginable. Whatever the issue is, our technicians will find the problem, spot the range parts that need replaced and write you out a fair estimate for the entire range repair job factoring both the cost of labor and any range parts that are needed. If you decide to hire us, the technician will quickly gather the needed range parts in Portland OR before heading back to complete the job. We are who you want to call if you need a range repair in Portland OR. Our team of highly trained technicians are some of the best in the Portland OR area. We also have suppliers for all different makes and models of dryer parts in Portland OR. There is no stove repair problem that we can’t fix. Our history of successful repairs has pitted us as the leading Portland stove repair provider. 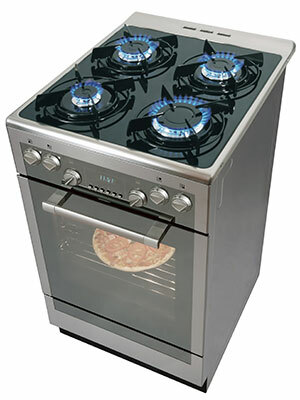 We offer a professional and courteous service for those in need of a stove repair in Portland OR. Our technicians will obtain and install any stove parts you need and you will know an estimate on these stove parts before you agree to get the job done. So if you are looking for a stove repair in Portland OR just give us a call and we will have one of our technicians promptly head out to your home. While uncommon, the stove door switch can have complications that result in a defective self-cleaning function. This switch is usually a component within the circuit. As your stove’s door must be shut for the self-cleaning mode to begin, the switch needs to be working for there to be no problems. It’s recommended that you look at other possible causes first, as the door switch is usually not to blame. However, using a meter to see if there is continuity will determine whether the switch is actually the reason for your problems.